RTX is a capsaicin analog tested as an analgesic since 1997. 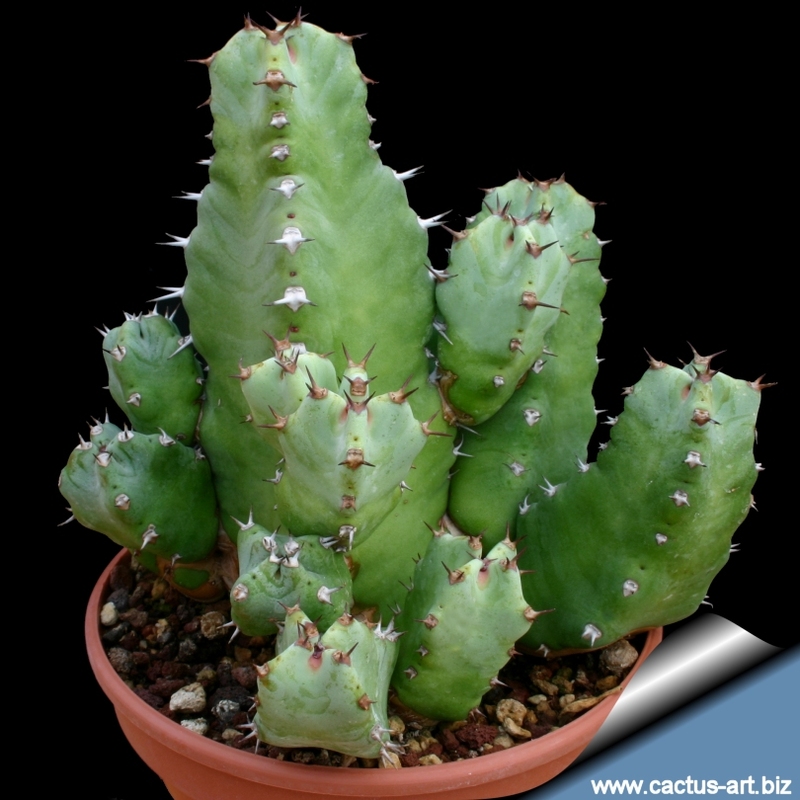 The plant contains a milky fluid or latex, which in its dried form is called Euphorbium. Capsaicin, the primary vanilloid compound found in hot peppers can interact with a vanilloidreceptor on primary sensory neurons mediating pain (nociception) and neurogenic inflammation such as neuropathic pain, as in diabetic polyneuropathy and postherpetic neuralgia. RTX injected subcutaneously into a rat hind paw several minutes before a surgical incision reduced postsurgical pain for 10 days in a NIH study published March 2018.It is tested to treat pain with advanced cancer. RTX has a score of 16 billion Scoville heat units, making pure resiniferatoxin about 500 to 1000 times hotter than pure capsaicin. RTX is toxic and can inflict a chemical burn in microscopic quantities. The primary action of resiniferatoxin is to activate sensory neurons responsible for the perception of pain. Animal experiments suggest that, in humans, ingestion of 10 g may be fatal or cause serious damage to health. It causes severe burning pain in sub-microgram (less than 1/1,000,000th of a gram) quantities when ingested orally. Currently, Sorrento Therapeutics has been developing RTX as a means to provide pain relief for forms of advanced cancer.